9 night’s half board accommodation in gites, simple hotels and refuges with private rooms (except for 3 nights in dormitories); Transfer on day two to access the start of your walk; detailed walking notes and walking maps, transport of luggage between accommodation if chosen (you'll need to carry your own gear for 3 nights on nights 5 - 7). This is an alternative final leg of our Alpine Adventure following the entire length of the French Alps. 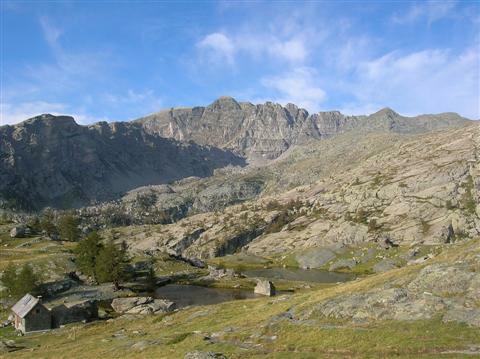 This walking holiday takes a longer trail via the GR52 (rater than the GR5) going via the heart of the Mercantour National Park before finishing in Menton. 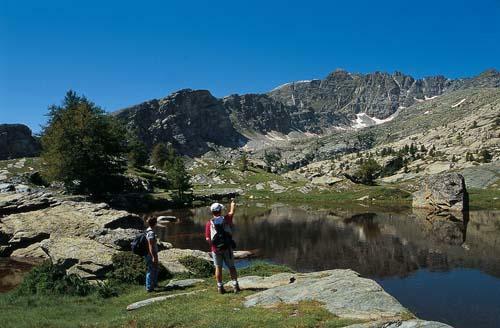 Discover beautiful lakes surrounded by rocky summits & the famous Vallee des Merveilles. We have split the our trek through the French Alps into several self-guided walking holidays, although it would be possible to combine them. The traverse of the French Alps is a truly unforgettable experience as you head south passing by the majestic summits of the Mont Blanc range before passing through the Vanoise and Mercantour National Parks. Your wonderful trail passes through a variety of landscapes, wildlife habitats and historic sites including the green alpine pastures of the Savoy, rocky deserts in the Queyras, beautiful perched villages of the Roya, snowy peaks of the Mont Blanc and ibex in the Mercantour. Our holidays include luggage transfers where possible (if you wish) so that you can enjoy the amazing scenery with only a light day pack. This alternative ending is a must-do for those wishing to explore the majestic and wild Mercantour National Park. The Mercantour is the last high mountain range of the Alps before it plunges directly into the Mediterranean. Acclaimed for being one of the wildest and most unspoilt parts of the French Alps, Mercantour has a contrasting range of landscapes. The Mercantour National Park has 7 summits of 3000m, a rich and diverse wildlife, as well as over 100 high altitude lakes. 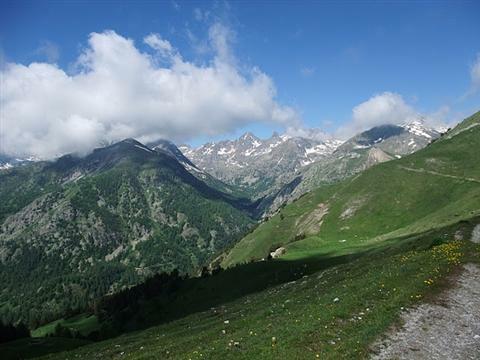 In addition, the proximity of the Mercantour region to the south coast of France, gives these alpine mountains a Mediterranean touch with a large diversity of wildlife including ibex, marmots and a large number of wild flowers. 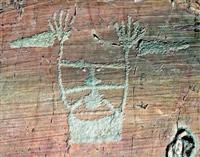 You will also have the opportunity to have a guided visit in the Vallee des Merveilles to discover the stunning pre-historic engravings. 9 days self-guided walking between accommodation. Walking per day amounts to an average of 5 - 8hrs walking, over 15-20km and 925m of ascent and descent. Maximum altitude gain: 1450m. The walk follows the GR52 for the most part. The walks take place on way-marked paths, although they are mountainous and rocky in nature with some more difficult rocky passages, which would be made more difficult in snow or ice. The 9-day walking holiday is a strenuous undertaking due to the sustained nature of the walking, especially over the first 4 days. There are also a couple of long days. You should have a reasonable level of fitness and be experienced in walking on mountainous terrain with a good head for heights. The GR52 climbs through a forested valley to the pretty Lake Trecolpas. Before reaching the rugged Pas des Ladres. You can then ascend Cime de l’Agnelliere if you wish before deciding whether to go via Col de Fenstre on the Italian border before descending to the refuge at la Madonne de Fenestre. The GR52 climbs without much in the way of a rest to the steep and rocky slopes of Pas du Mont Colomb. The descent is equally challenging. Go past Lac de la Fous to reach Refuge de Nice. You can leave your bag at the hut and make a climb to the beautiful small lakes of Mont Clapier. 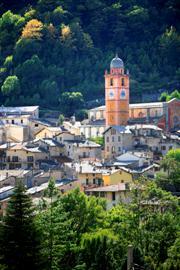 Holiday ends after walk on day 10 or book extra night's accommodation in Menton. You’ll be staying in a mixture of simple hotels, walkers gites and mountain refuges in private rooms for 2 (except 3 nights in shared dormitories). Traditional mountain food. Traditional mountain refuge at 2230m in the heart of the Mercantour. Make your own way to St Etienne de Tinne at the start of the holiday. First make your way to Nice. Eurostar and the TGV provide a relaxing journey from London via Lille or Paris or direct to Lyon. 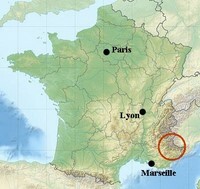 From Lyon or Paris catch a TGV train to Nice. Some services require a change in Toulon. From Nice take bus service 740 from Nice Vauban at 9am and 4.30pm on most days to get to St Etienne de Tinee. Journey time is about 2 hours. 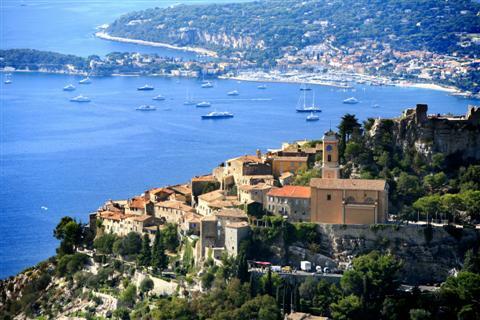 Flights from French and UK airports to Nice Cote d'Azur airport. Operators from UK airports include Flybe, Easyjet & British Airways. Shuttle bus to Nice centre and train station. Then bus as above. Return from Menton to Nice by regular train services.